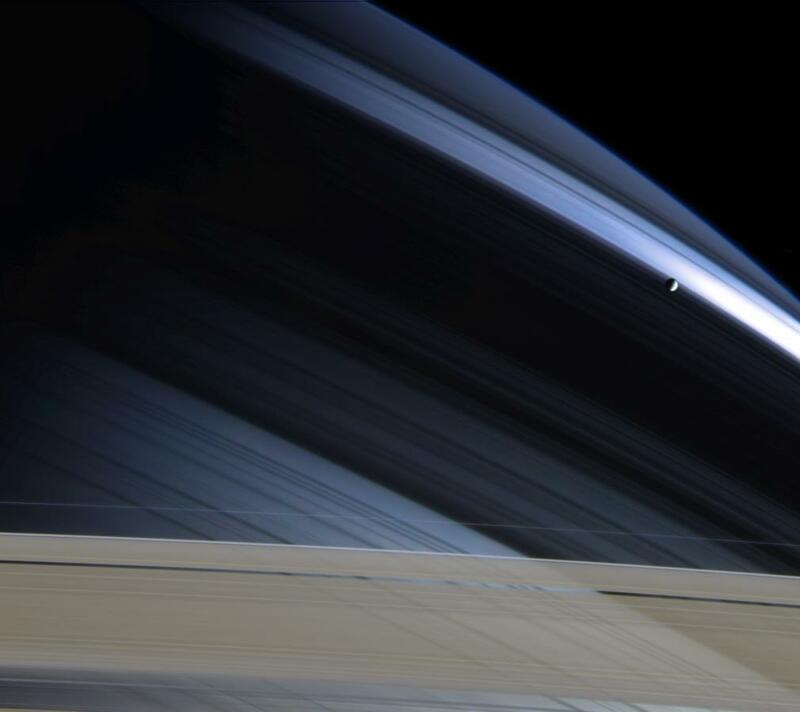 Explanation: Caught in sunlight, icy moon Mimas shines above a broad shadow across gas giant Saturn. 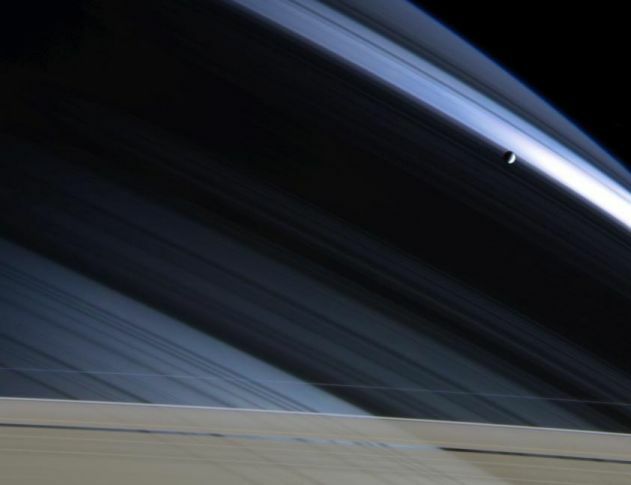 In this remarkable image from the Cassini spacecraft, tiny Mimas is at the upper right. The broad shadow across the giant planet is cast by Saturn's dense B ring with intriguing threadlike shadows from Saturn's inner C ring arrayed below. While the B and C rings are otherwise not visible here, the very narrow outer F ring lies toward the bottom of the image as well as a section of the partly transparent A ring and its 300 kilometer wide Encke gap crisscrossing the ring shadows. Sunlight streaming through the much larger Cassini gap that separates the A and B rings is responsible for the bright band seen above Mimas. The Cassini gap itself is just off the bottom of this cropped view. Orbiting well beyond Saturn's F ring, Mimas is a mere 400 kilometers in diameter.